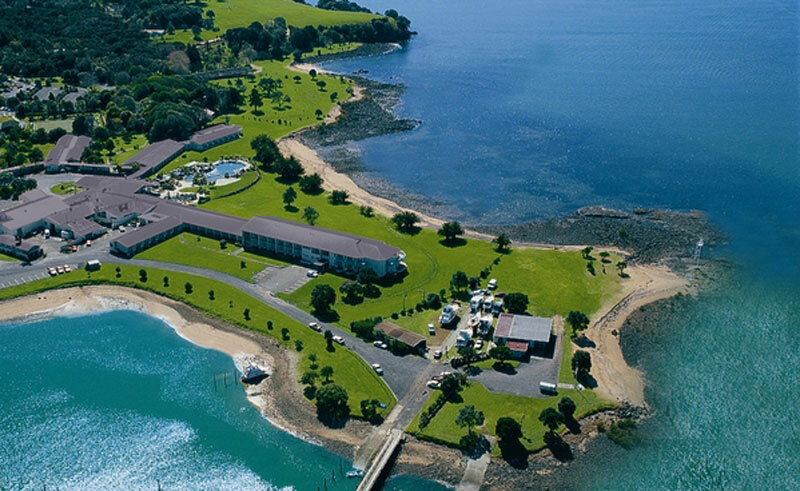 With a beautiful seafront setting, this 180-room hotel is found only a short stroll north of Paihia on the way to the Waitangi Treaty Grounds. 15 minutes by foot into the heart of Paihia means that a wide range of restaurants, shops and excursions are readily available, while the hotel itself maintains a secluded and restful setting in New Zealand’s Bay of Islands. Popular excursions include game fishing, sailing, parasailing, diving and horse trekking, while the hotel offers mountain bikes for hire for those who would like to explore the area on their own by pedal-power. The Waitangi Restaurant has great views of the romantic town of Russell across the bay, and the a la carte menu features a selection of freshly caught seafood alongside an impressive buffet of fresh produce. The Rangatira Room is slightly more formal, and a superb place to enjoy an a la carte meal in an intimate setting. The Cafe Bar opens onto the tropical gardens and offer indoor or alfresco dining with a wide selection of beverages and a selection of lighter meals. 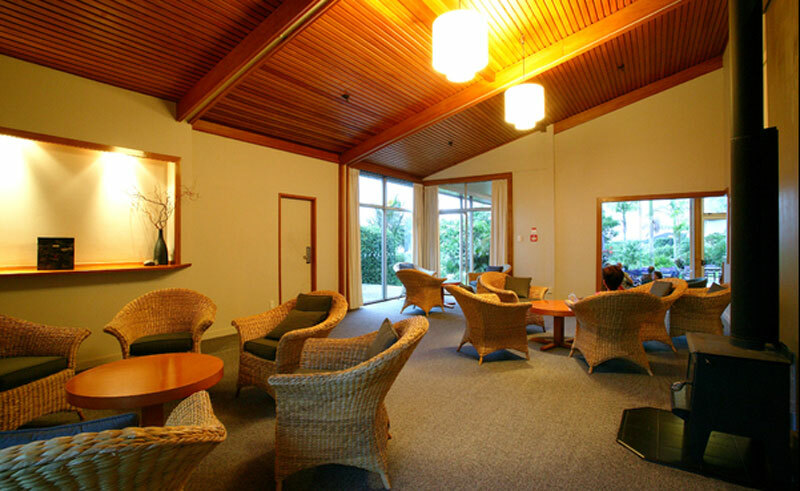 The Waimihi Lounge is a quiet space to read and enjoy a coffee or cocktail. 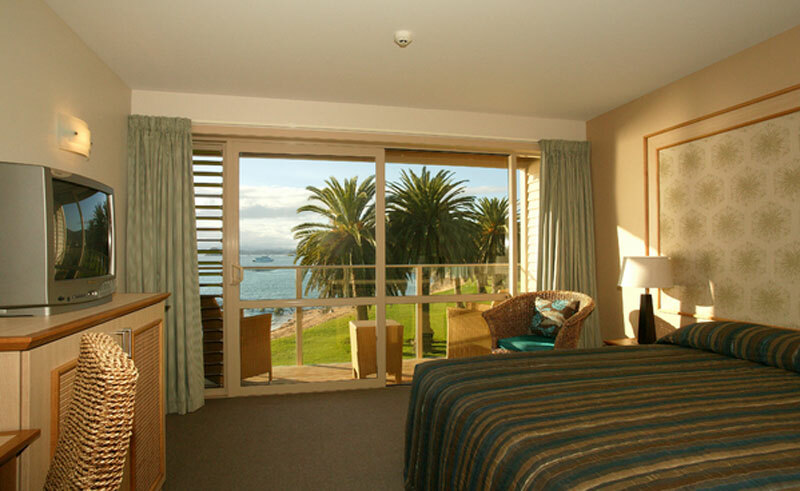 The hotel’s rooms have been designed to blend in to the serene, subtropical environment and offer views over either the garden or waterfront. All rooms feature en suite facilities, TV, mini-bar, tea and coffee making facilities, hairdryer, iron & ironing board and in-room safe.